Flow and Learn to Move Better. 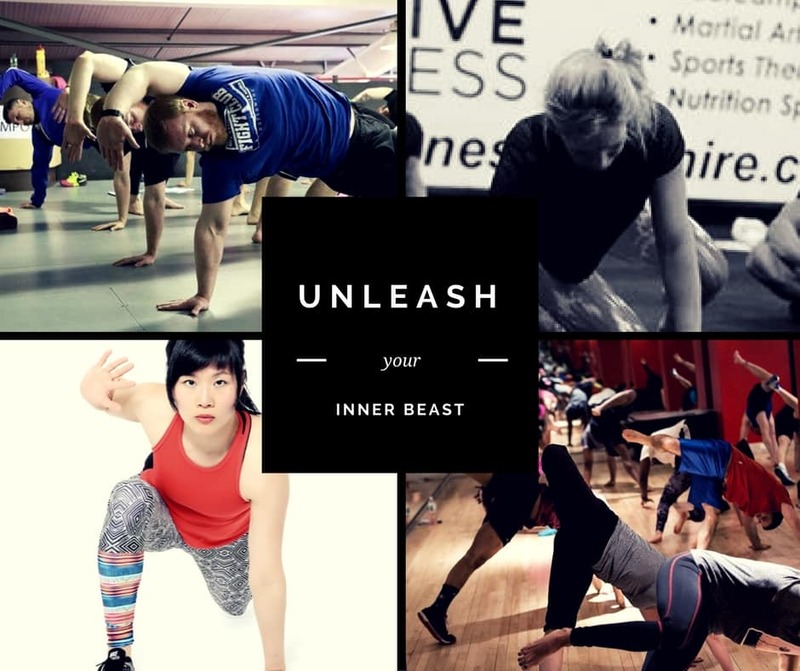 Animal Flow is an innovative new fitness program that combines ground-based movement with elements of various body-weight training disciplines to create a fun, challenging workout that emphasizes multi-planar, fluid movement. Athletes and fitness enthusiasts of all levels will find significant benefits from the practice. All animal movements place the body in a “four pillar” position, meaning your hands and feet are touching the floor. By using animal forms for exercise you will be experiencing Animal Flow’s unique multi-planar technique. Exercise becomes more fluid rather than compartmentalized. Each class comprises of 6 components: Wrist Mobilizations; Form Specific Stretches; Activations; Traveling Forms; Switches & Transitions; and the Flows. Animal Flow was created by Mike Fitch and his personal journey into bodyweight disciplines. Animal Flow is a combination of his experience with gymnastics, Parkour, hand balancing, circus arts, breakdancing, and traditional progressive body weight training. While each of the bodyweight disciplines is unique in its own way, they all share common elements. One of these is the concept is “flow” where you seamlessness link the movements together. These movements are powerful for improving the function of the human body. So who can do Animal Flow? Animal Flow is for everyone. No matter your age, fitness level, you will notice a change in the way you move. Of course if you have an injury or recovering form a medical condition, you should consult your physician to get the green light. Where you may have seen Animal Flow? Animal Flow has been featured and covered by media all over the world, from IDEA Fitness Conference, Wellfest.ie, The Independent, ECA World Fitness Conference, CBS New York, LA Times, The Doctors, and Mens Health. Last year WellFest had Animal Flow workshops featuring Master Instructor Richard Scrivener from the UK. Where can I take Classes in Ireland? Strive Studio, 81 Ashgrove, Kill Ave. Deansgrange. Workshops on Monthly so make sure to follow me on Instagram for the most updated workshops and classes. Taught by L1 Certified Instructor and winner of IUKL World Kettlebell Championships Maria Moran at 7am every Thursdays. Maria does a great blend of mobility and Animal Flow moments. You won’t be disappointed. Taught by Shane and Marcin every Monday at 6pm. Great fun with these guys. Beginners welcome. The team at FFS are gold. They have Movement & Mobility Classes which incorporates Animal Flow with other methods.